Localization involves many tasks and resources on the customer and vendor sides. The tasks can be straightforward and simple, but they can also be very complex. The resources have different skills, span several inter-connected aspects of the localization project, and are always geographically distributed and linguistically and culturally diverse. A localization project manager ties all the pieces together with the main objective of delivering the localized project on time, at cost, and with good quality. Our project managers understand your needs and the critical issues involved in localization projects. They thoroughly understand the localization process, and can think out of the box to come up with solutions to intricate projects. They have worked on the client side and, therefore, they understand your issues. 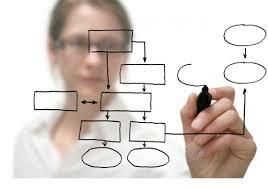 In addition, they are experienced with project management software such as Microsoft Project.